All the guests and citizens of Saint-Petersburg have a unique opportunity to get unforgettable explosion of vivid impressions from visiting the Grand circus show of Zapashny brothers "emotions of joy and...". About the search of accommodation as always no need to worry because company #hth24 Apartments ready at any moment to offer You daily comfortable accommodation. And with tickets You will be happy to help our free travel assistant - Concierge hth24! Legendary show of Bolshoy Moscow circus "Emotion and..." will be held at the St. Petersburg state circus from 23 September to 3 December. "emotions of joy and..." is a bright circus performance in the genre of the Divertissement, which does not include the plot of the story, but is the main idea is the play of color and its impact on human emotions. 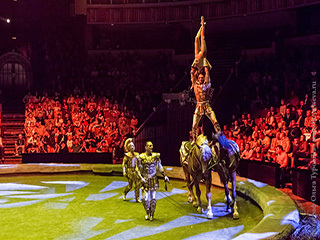 The show brings together leading Russian circus artists, winners of international circus festivals and competitions, master of sports of international class. 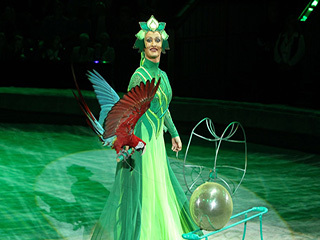 In the best traditions of the Russian circus program full of a great variety of rooms involving four-legged and feathered actors — trained tigers and lions, horses, dogs, and macaws. the program consists of 12 rooms of different genres, among them 8 group: Volturi, acrobats on teeter boards, group equilibrium "Four graces", the attraction "Among the predators" horse ride "Hellas" gymnasts on horizontal bars, aerial frame "Furies" and "Rope". Each room is a ride, which could be a highlight of a specific program. Many of the tricks presented themselves in the performance of the legendary brothers. 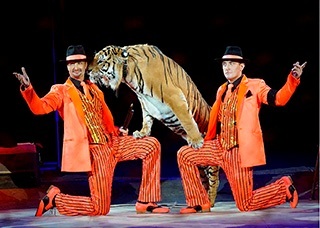 For example, a unique and intriguing room "Among predators", where the circus is dangerous and thrilling stunts performed by the rare white and Siberian tigers and African lions. One of the most unique tricks "Leap riding on a lion" performed by Askold zapashnogo in 2006 was listed in the Guinness Book of records. A horse attraction "Ellada", which is unique worldwide, presents several circus genres: juggling, pas de Deux, trick riding, acrobatics on horseback. One of the tricks of the attraction performed by Edgard zapashnogo in 2011 was also listed in the Guinness Book of records. And all this surrounded by creative innovations, author's music and music of this jazz band, the modern installations of lighting and sound equipment of last generation. Color your mood bright and colors. It is only a circus can give you unique emotions!